Kit and Mrs R look so young there ! [quote="Brian"]The files were wrongly named when I uploaded them. Row 5 Buxton, Goodman, ? Bulmer, Wilkinson, Burnett, McKie, Avery, ?, ? Clarke. J.R. wrote: Kit and Mrs R look so young there ! Quite amazed that, although I was Col B, to find I recognised my contemporaries Beare and Chubb straight off. Various other names were familiar. Banner I remember as the absolute all-time Corps Gripe. Miss Meek gave Coleridge its Pancake Cup when she left - I wonder if that is still competed for. postwarblue wrote: Quite amazed that, although I was Col B, to find I recognised my contemporaries Beare and Chubb straight off. Various other names were familiar. Banner I remember as the absolute all-time Corps Gripe. Miss Meek gave Coleridge its Pancake Cup when she left - I wonder if that is still competed for. That has definitely stirred a bit of the old grey matter. I'm sure that still went ahead in the mid-6o's, competed for behind Coleridge House, if memory serves ! Aren't you thinking of the Colonel Pussfoot-Smythe Trophy? michael scuffil wrote: Aren't you thinking of the Colonel Pussfoot-Smythe Trophy? 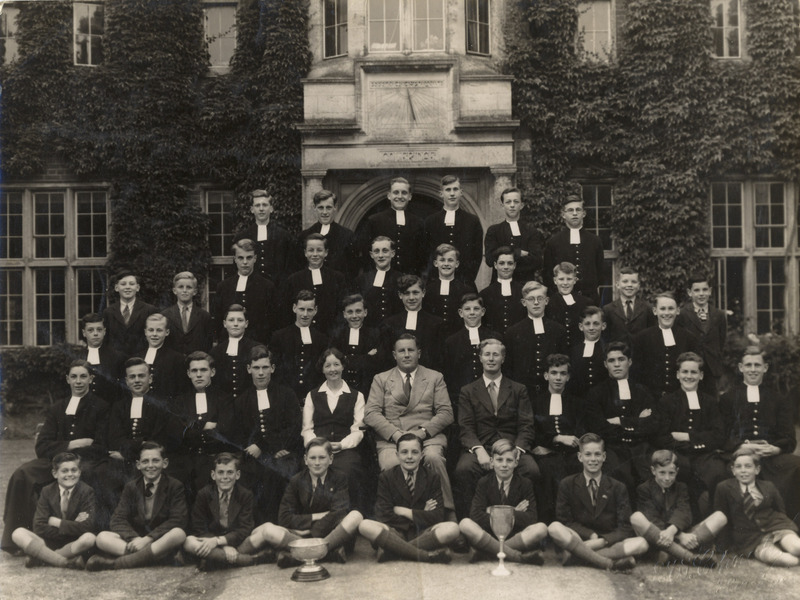 Also in Col A there used to be the Briscoe Cup (I think he left in 1946). It was awarded by the house to an outstanding ex member of the house. The only person who got his name inscribed on it in my time was Andrew Joanes. Has any one else any memories of it? 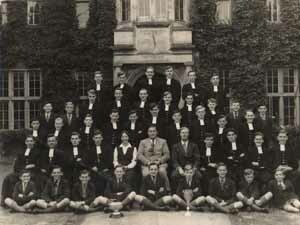 DavidRawlins wrote: Also in Col A there used to be the Briscoe Cup (I think he left in 1946). It was awarded by the house to an outstanding ex member of the house. The only person who got his name inscribed on it in my time was Andrew Joanes. Has any one else any memories of it? I certainly heard about it - I possibly saw it hanging around somewhere - but so far as I am aware it was not awarded or officially mentioned in my days. I wonder if we had any really outstanding ex-members of the house. 2 uni professors (both fled the country!) a producer of daubs and a potter (also fled the country!) are all I can think of who seem to be reasonably well known somewhere or other and not obviously anti-establishment. It was held at 12.15 on Shrove Tuesday, on Lamb asphalt. Curiously it always coincided with a staff meeting, so we were left undisturbed. The pancakes were made by matrons (or housemaids). The contest was compered by a history grecian, and it was generally accepted that the winner would be the house that particular grecian was in.